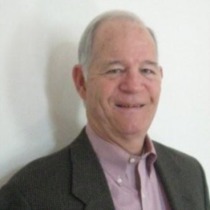 Jay Novak joined Joe Manausa Real Estate in 2009 after a 36 year career in Real Estate mortgage lending. Jay has been a licensed real estate agent since 1972 and practiced part-time until 1976, when he decided to enter the real estate lending field. While working in the lending industry, Jay stayed up to date in the real estate world through participation in various educational courses. This education combined with his real estate sales and lending background made his transition back into real estate sales smoother. In the Army he worked as a Personnel and Payroll specialistJay grew up in Miami, Florida, graduating from Coral Gables High. He attended Miami-Dade Junior College until enlisting in the U.S. Army in 1962. In the Army he worked as a Personnel and Payroll specialist, serving in various United States posts as well as a stint on the DMZ in Korea. Jay married his wife Cecelia in 1969. In 1972 they moved to Jacksonville, Florida and Jay began his lending career specializing in residential real estate lending. Jay and Cecelia started their family at that time and had two sons, Matt and Michael. In 1976, Jay was offered and accepted a job in residential real estate lending with a Savings and Loan in Tallahassee, Florida. In 1987, Jay was given an opportunity to work for the Farm Credit System, managing the Eastern Region territory which consisted of three offices ranging from Gadsden County on the West to Madison County on the East. In this position Jay dealt primarily in commercial lending on larger agricultural timber tracts and plantations in Florida and Georgia, with some rural residential lending also included. In 2008, Jay decided to retire after 36 years in real estate lending. A year into retirement, Jay realized he greatly missed the interaction with people and started looking for a progressive real estate company with national connections and a small staff. After looking at several companies, he decided to place his license with Joe Manausa Real Estate. Their website was very advanced and had excellent information which no other company appeared to have. Jay Novak has 25 years of long distance sailboat racingJay also is a partner in a small real estate investment firm, WNN Properties, LLC and has been involved in this endeavor since 2005. He is also an avid sailor, with over 25 years of long distance sailboat racing all over the gulf and down in the Caribbean. Jay has a great deal of experience in the real estate field, and often writes articles that help consumers understand the changing nature of the real estate market (you can read his most recent articles here). He enjoys working with people to help them sell or buy homes and obtain the financing necessary to accomplish their dreams. He looks forward to working with buyers and sellers alike.